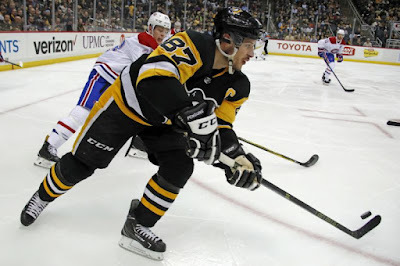 During the Penguins 5-3 win over the Montreal Canadians on Wednesday March 21st, Crosby took yet another opportunity to illustrate why he is the best hockey player in the world. "The last time I saw somebody bat it (the puck) out of the air the way he did was probably Sid too," Head Coach Mike Sullivan said during the post game interview. "He has a handful of them over the past few years. He thinks the game at such a level that a lot of players don't even consider...He's just an elite player."